That’s where a lot of Maine towns and state policymakers are now, getting loaded with facts, figures and studies before deciding whether the state should use more public money to subsidize the expansion of superfast fiber-optic networks. Maine lawmakers face about 35 bills dealing with broadband expansion, most of which would increase the amount of money spent to expand networks or otherwise add oomph to the ConnectME Authority, which gives out about $1 million per year in grants for broadband projects in places with only dial-up connections or no connection at all. The issue also is on the table for a range of cities and towns. Bangor, Bar Harbor and Ellsworth are among the municipalities looking at examples from Chattanooga, Tennessee, and Maine municipalities such as Rockport and South Portland to figure out whether spending public money on broadband expansion would yield appreciable economic benefits. What’s the fuss, don’t we all want faster Netflix? Maine towns are considering funding superfast broadband based on the premise that it would spur economic activity and attract entrepreneurs and the digitally savvy and because they feel private businesses might not meet that need soon enough to raise the state from its dead-last ranking for average broadband speeds in the country, according to February statistics from the Internet metrics company Ookla. Backing for aggressive broadband expansion ranges from the anecdotal to numbers of a scale that are difficult to conceive. The estimated investment to get fiber-optic cable to every home (that’s on the grid) in Maine is billions of dollars. Proponents say the upside isn’t just attracting businesses. It would allow seniors to age in place using “telemedicine,” meet expectations and needs of people considering moving to Maine, and give a leg up to people and companies already in the state. The Governor’s Broadband Capacity Building Task Force issued its report in December 2013 making the case for why and how the state should invest in new broadband capacity. It laid out 10 recommendations — including many ways to improve education and broadband adoption in areas that already have connections — that it estimated would create 11,000 new jobs paying about $500 million in annual income and generating about $70 million in new state and local taxes within 10 years. But why should public money go to something that’s not a public utility? That’s a tough question, and one that the federal government may redefine if regulators succeed in classifying Internet service providers alongside other utilities, including telephone companies. They are set to vote on those rules Thursday. Tom Wheeler, chairman of the Federal Communications Commission, earlier this month unveiled new proposed rules that would, among other things, require Internet service providers to allow other providers “fair access” to their poles and rights-of-way under Section 224 of the Communications Act of 1934. In the early days of the Internet, Wheeler wrote in an article for Wired, that’s what allowed a company like AOL to instantly gain access to millions of potential customers. The FCC in the late 1960s mandated open use of some telephone network elements. The proposed changes for broadband would not require fiber or copper cables to be open to lease by other companies, as are many municipally owned networks and the state’s open fiber-optic backbone. The change also could make federal money available to broadband providers and perhaps let them tap part of an $8 million state fund used to support universal telephone service, or provider-of-last-resort service. A change in the federal rules would shake up the industry and alter the landscape for broadband service, municipal and otherwise. Some towns are getting ahead of the FCC, others are cautious. “Municipal broadband” means using local public money to support the expansion — almost always — of fiber-optic cables, but it doesn’t indicate a specific business model. Bar Harbor voted last Tuesday to study broadband expansion and Ellsworth recently approved a lease on facilities to advance its fiber-optic project. Ellsworth is pursuing a model like Rockport’s, where it would own the fiber-optic cables and have someone else operate the system. South Portland, which unveiled its plans for a municipal network in September, opted not to own the fiber. As more communities study the issue, Internet provider Time Warner has lobbied Maine lawmakers to oppose “government-owned networks,” partly based on a study by New York Law School’s Advanced Communications Law & Policy Institute. Information from that study was included in materials given to 22 lawmakers at a January conference Time Warner hosted at a Cape Elizabeth inn. “While the networks share many traits — notably, volatile business models, significant debt and uncertain financial futures — the story of each individual GON highlights why the network should be seen as a cautionary endeavor rather than a replicable model,” the report states. Full government ownership and operation is one way of pursuing municipal broadband projects, but different business models have popped up in Maine and across the country. What’s Time Warner’s problem with municipal broadband? In one word: Competition. Time Warner is encouraging Maine officials not to invest public money where broadband networks — such as its own — already exist. State law is now on the company’s side in that regard, with its fight on this specific issue demonstrated in Orono and Old Town, where Time Warner successfully challenged a $125,000 grant from the ConnectME Authority. Time Warner won on the basis that it already provides fiber-optic service at speeds above the state’s definition of “underserved,” which was raised in January to 10 megabits per second for both downloads and uploads. The company now hopes to prove public opinion is on its side with a survey it commissioned from the Portland-based polling firm Critical Insights that found 58 percent of Mainers disagree with what the ConnectME Authority already does — use public funds to build broadband in places where it doesn’t exist — and 74 percent of the 600 randomly selected voters disagree with funding projects where broadband does exist. Municipal fiber networks in Maine and the statewide Three Ring Binder program let any company lease capacity to reach customers. Companies such as FairPoint also provide this type of “wholesale” broadband to other service providers on their fiber-optic lines. Time Warner also provides wholesale services. But the industry group Comptel, which represents competitive telecommunications companies, has raised concerns with federal regulators that Comcast could limit that access after the acquisition, eliminating wholesale services that smaller providers use to reach their customers. At the municipal level, more open fiber networks means not only a new competitor for companies such as Time Warner but possible competition from an array of Internet service providers that do not have costs associated with building and maintaining their own physical networks. The next few months will be big for broadband policy in the state. Language continues to be drafted for 35 proposed bills dealing with broadband, including bond measures to install new fiber lines. Phil Lindley, head of the ConnectME Authority, said the level of interest is unprecedented. Fletcher Kittredge, CEO of GWI in Biddeford, said he has spoken with about a dozen municipalities that are in some stage of planning, studying or considering municipal broadband expansions. His company is building and operating municipal networks in Rockport and South Portland. 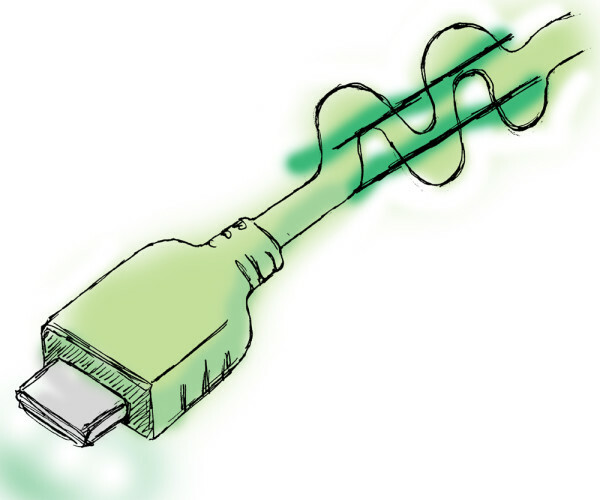 What’s up for discussion in Augusta this session is how much money the state should devote to broadband expansion and how that money should be distributed in an increasingly tight competition for grants. Where does that money go? Houlton-based Pioneer Wireless has received about 35 grants from the ConnectME Authority for projects in its coverage area, roughly from Eastport to Madawaska, where there is no Internet service (about 6 percent of households by the latest estimates). Don Flewelling, the company’s spokesman, said competing for money from the ConnectME Authority has required more effort and sometimes door-to-door canvassing to get signatures of customers who would sign up if they expanded down a certain street. Those initial projects and the company’s DSL network have been a stepping stone to building higher-speed fiber-optic networks, Flewelling said, noting the company already has 40 miles of fiber in Houlton and plans to build out more this year. “We started with wireless and converted to DSL as there was increased demand,” said Flewelling, whose company started in 1996 in Presque Isle as the Maine Farmer’s Exchange. The same is now happening for fiber-optic networks, for which Flewelling said there’s another incentive to build: It costs less after the networks begin operating because the company doesn’t have to lease lines from telephone companies. He expects that will remain a niche business as others look to rural Maine as an opportunity for wireless broadband. RedZone Wireless moved to Camden in January and said it has a plan to reach most of the state within two years, using 4G LTE wireless networks like those serving smartphones. Machias-based Axiom Technologies also has explored new wireless technologies, such as sending information on unused television frequencies referred to as TV white spaces. That technology does not require a line of sight between a tower unit and an end user, which supporters say could remove the need to account for interference from trees, buildings and other obstructions. Flewelling said part of his company’s shift away from wireless is for the long-term costs of maintaining wireless networks. He’s part of the broadband scrum in Augusta this year, helping to write a bill, sponsored by Rep. Robert Saucier, D-Presque Isle, and supported by the Maine Farm Bureau, to increase ConnectME Authority funding — which comes from a fee on existing customers — from about $1 million a year to about $5 million a year. Lawmakers on both sides of the aisle have submitted bills dealing with broadband this session. Among them is freshman Rep. Norman Higgins, R-Dover-Foxcroft, who said he doesn’t think it will be an issue split along party lines. Bob Dorsey, president and CEO of the Aroostook Partnership for Progress, also was part of the push for drafting the bill sponsored by Saucier. The economic impact in his region has been anecdotal for specific businesses such as Bridgewater farmer Jim Gerritsen, who sells his seed potatoes in 50 states through his website. But Dorsey said there are other benefits, too.